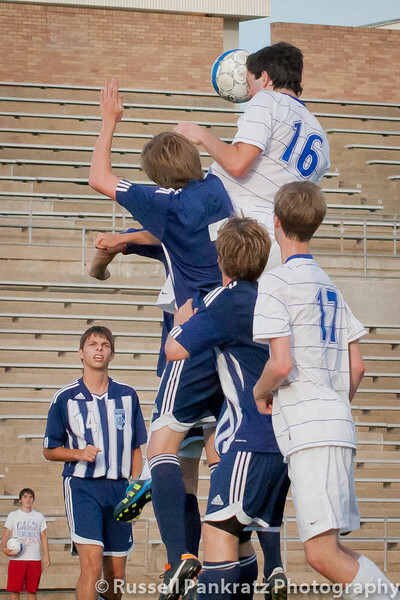 Ben Hernandez threads a needle with a header in heavy traffic in this playoff game featured photo. This game with Kingwood High is the Area playoff game. The Chaps' 2-1 victory sends them to the State Playoff's Regional Quarterfinals on Monday or Tuesday.